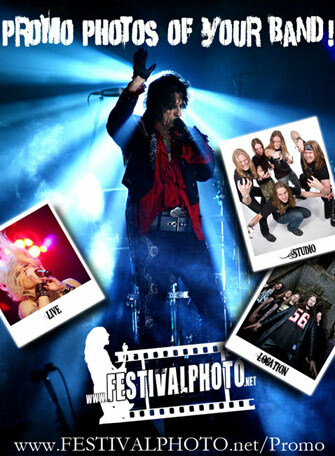 Festivalphoto have been photographing many artists and bands since 1974. We could of course do the same with your band, does not matter if you are a well-known band or a new band trying to make it. The music industry is not only about making good music, it is also very important with the right exposure and the looks! Do as other record labels and get professional photos for albums, posters, web - everything you need to promote your band. The same goes for smaller bands that needs great photos for their demo, website etc. to make a good first impression. We can offer both photos inside our studios and outdoor at some cool location with our mobile studios. Or why not just let us know when your next gig is coming up and we can shoot photos of the concert, those kinds of photos might also be good for promotion. Don't forget to take a look in our enormous database with over 500 000 live photos where your band almost certainly appears. We will also be happy to promote your band at Festivalphoto, through social media or through our network in the music industry.